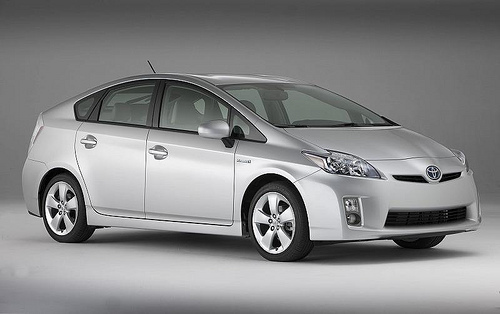 Think consumers are so hungry for all things green that they will buy a hybrid car just because it’s a hybrid? Think again. A study from Accenture shows that 6 out of 10 people are more likely to buy a hybrid or electric car only if it is better than a gasoline-powered counterpart in every way–that means a hybrid needs to dominate in cost, entertainment features, safety, maintenance, communication, and navigation add-ons. Canada), into a handy chart. As you can see, there’s also some good news for hybrid and electric automakers: over half of all consumers polled plan to buy a hybrid in the next two years. That’s because automakers have taken big strides forward in increasing the quality and options available in their hybrids. Electric cars, however, aren’t quite ready for prime time, which is why most people polled don’t plan on buying one the coming years. But if gas prices rise dramatically in the next decade, we’re guessing most potential car buyers won’t care too much if their hybrids have pimped-out in-car entertainment systems.